Anesthesia mask rebreathing set 4. Anesthesia mask with straps, hose and ambu bag. Anesthesia mask rebreathing set 2. Anesthesia mask with re-breather bag. Mask in 2 colours: black and medical green. Bag in black only. Anesthesia mask rebreathing set 3. Anesthesia mask with re-breather bag and air flow controller, air hose and straps. Anesthesia mask rebreathing set 2 Deluxe. Anesthesia mask with re-breather bag and air flow controller. Mask in 2 colors: black and medical green, bag in black only. Anesthesia mask rebreathing set 3. Anesthesia mask with re-breather bag, hose and straps. Smell bag. 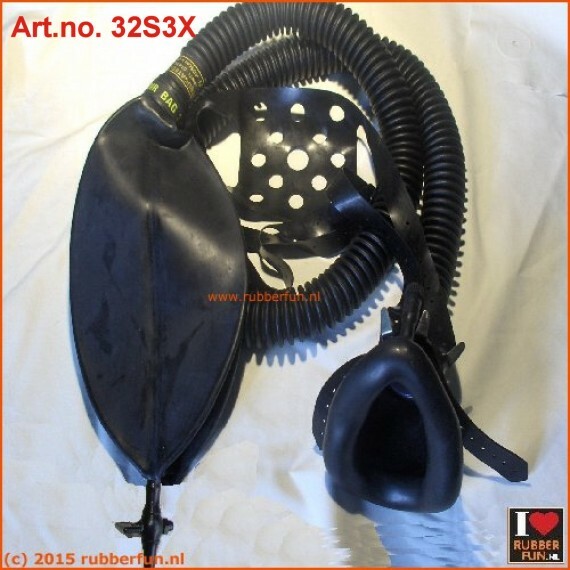 Black rubber for odor breathing. For gas masks. Smell bag. 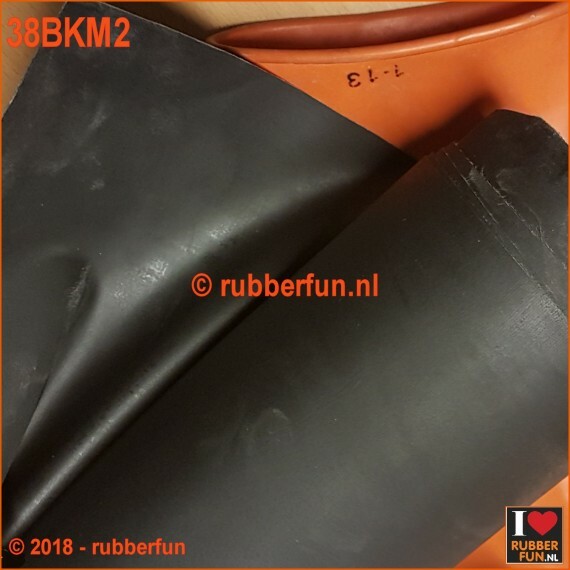 Black rubber for odor breathing. For anesthesia masks. 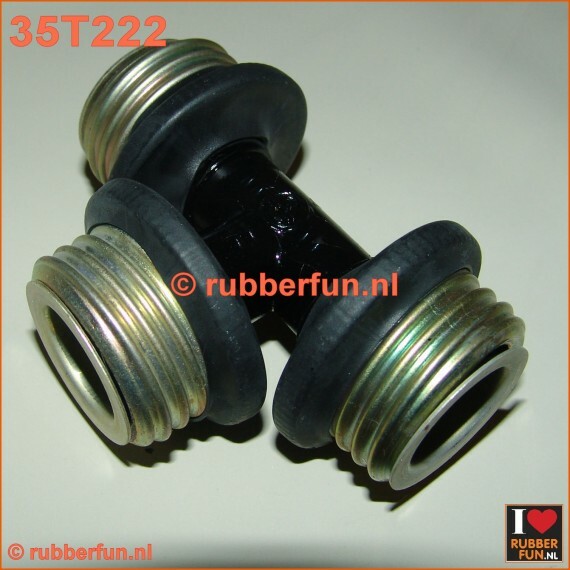 Connector adapter - straight - 25 to 22 mm. With air plug. Hook connector for medical connections (hose to hose, mask to hose). OD 22 mm. With air plug. 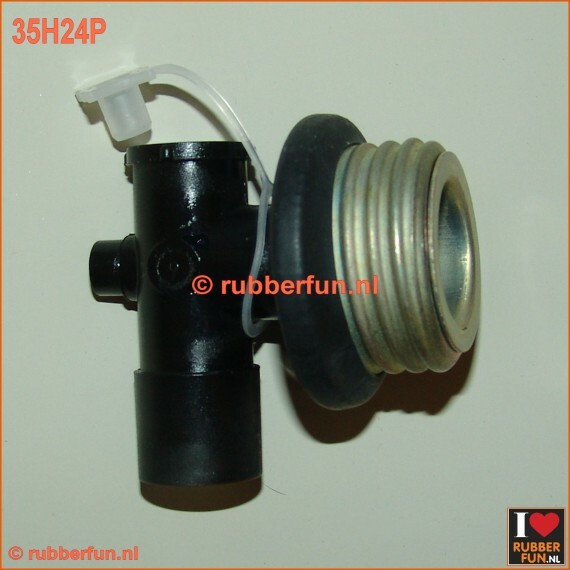 Hook connector for gas mask or gas mask hose to anesthesia mask or medical breathing hose. 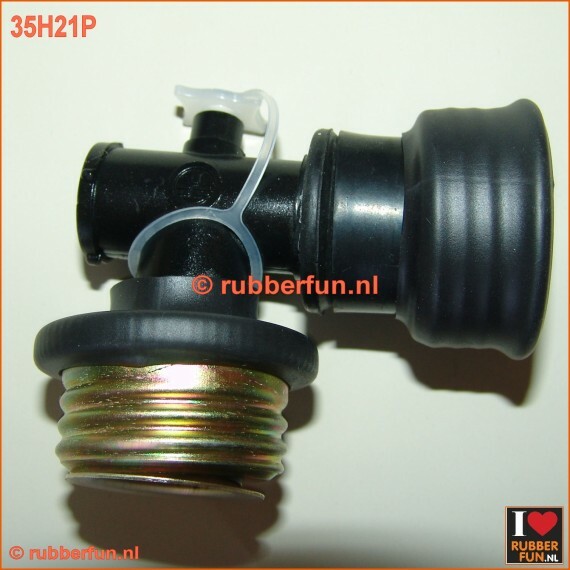 With air plug. Male - medical. Mackintosh rubber sheeting. Black. 90 or 120 cm wide, 0.50 mm thick. NEW ARRIVAL JUNE 2018. 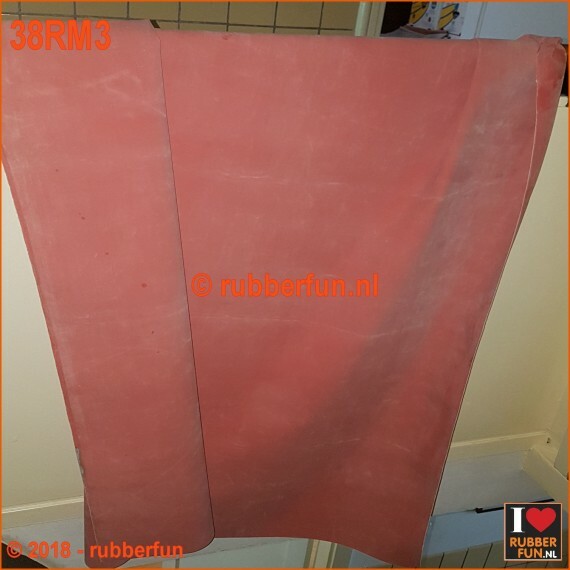 Natural indian rubber sheeting. Black. 90 or 120 cm wide, 0.50 mm thick. NEW ARRIVAL JUNE 2018. Mackintosh rubber sheeting. Brown. 90 or 120 cm wide, 0.50 mm thick. NEW ARRIVAL JUNE 2018. Art.no. 04 Anesthesia bag. 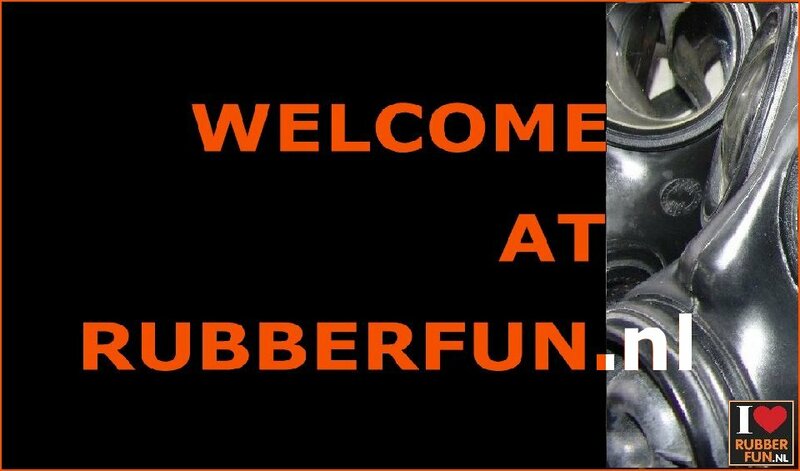 Black rubber. Volumes: 0.5 -1-2-3-4-5-6 liter. 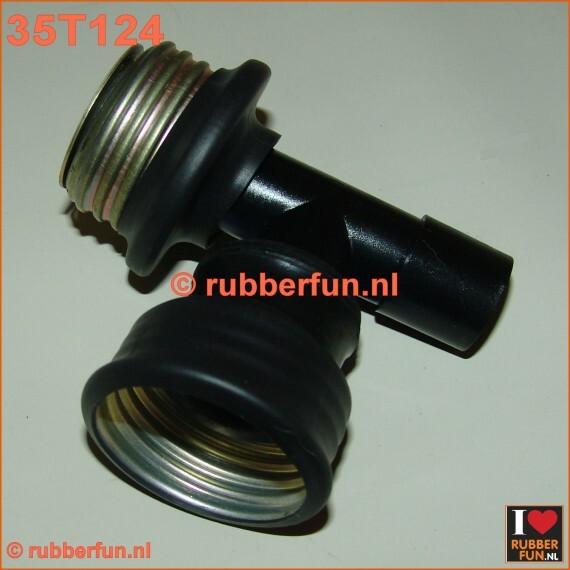 T-connector for gas mask and gas mask hoses. Three endings: 3x male (male-male-male). T-connector for anesthesia mask to medical 22M and gas mask devices with male ending. 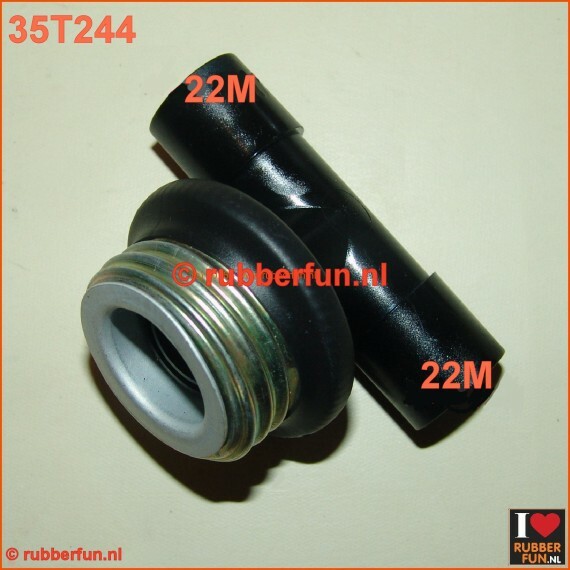 T-connector for gas mask and medical devices. 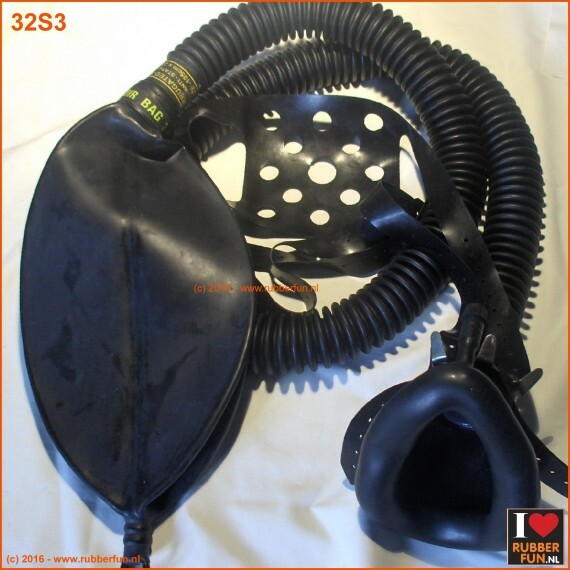 Three endings: male gas mask to medical-medical (22 mm M OD). 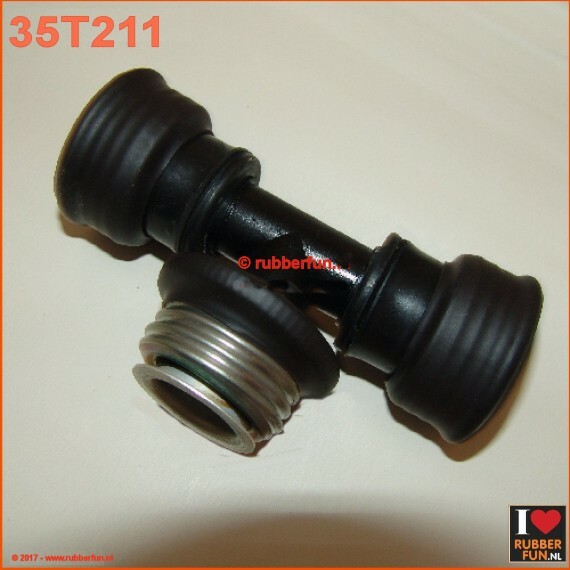 T-connector for gas mask and gas mask hoses. Three endings: male to female-female.